Xiaomi Mi 9 smartphone has been in the leaks for very long and it’s specifications and details were tipped earlier. However, the launch date of the phone was a question, but now the company themselves have revealed the official launch date of the device. Did Xiaomi Made A Mistake? 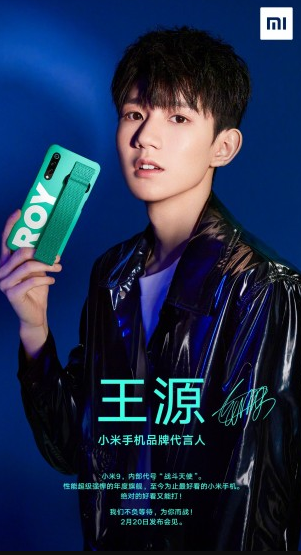 A Chinese Boy Band member Roy Wang shared a image on Weibo showcasing the upcoming Xiaomi Mi 9 smartphone. In the image we can see the triple camera equipped Xiaomi Mi 9 and also it’s launch date. The launch date of the device is set for February 20. 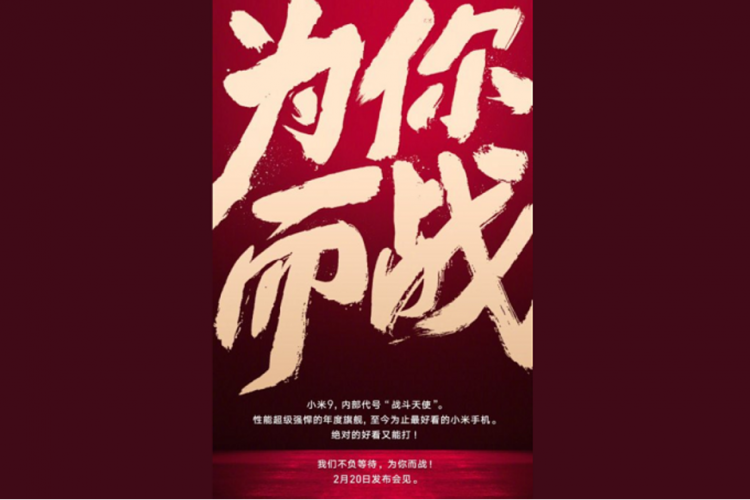 Another post on Weibo by the Co-Owner of Xiaomi Lei Jun was seen revealing a few details about the smartphone. Most importantly the launch date of the smartphone was again seen here. So both the posts on Weibo shared the exact same date that is February 20. To recall, Samsung has scheduled the highly anticipated smartphone Samsung Galaxy S10’s launch on the exact same date as Mi 9. This means the most popular flagship smartphone and Xiaomi’s flagship phone will compete with each other. This might be a wrong decision by the company as it’s not surprising that most of the world will be excited for the Samsung Galaxy S10 launch rather than the Mi 9 smartphones launch. Other than this, the teaser poster also reveals the triple camera on the phone. This means all the past leaks about the smartphone were legit. That’s it, the teaser poster doesn’t reveal many details about its specifications or other details. But the phone was earlier spotted on various certifications so we know a few specifications of the phone. The Xiaomi Mi 9 smartphone will be powered by Qualcomm Snapdragon 855 SoC paired with 6GB of RAM and 128GB of internal storage. One highlighting feature is that it is said to feature a In-display fingerprint scanner and a physical fingerprint sensor as well. Another highlight is that it could come with 27W fast charger as the company claims that it will can be charged more faster than the Redmi Note 7’s 18W charging speeds. The Xiaomi Mi 9 smartphone is expected to start at CNY 2,999 or $436/Rs. 30,500. The smartphone is also expected to come with some TFBoys band accessories. Stay Tuned for more updates on Xiaomi Mi 9 and also Subscribe to Our YouTube Channel Gadget Gig For Latest News, Reviews, Unboxing and Tips/Tricks.